BricsCAD® v19 includes convenient new functionality to view and modify the distance between entities. 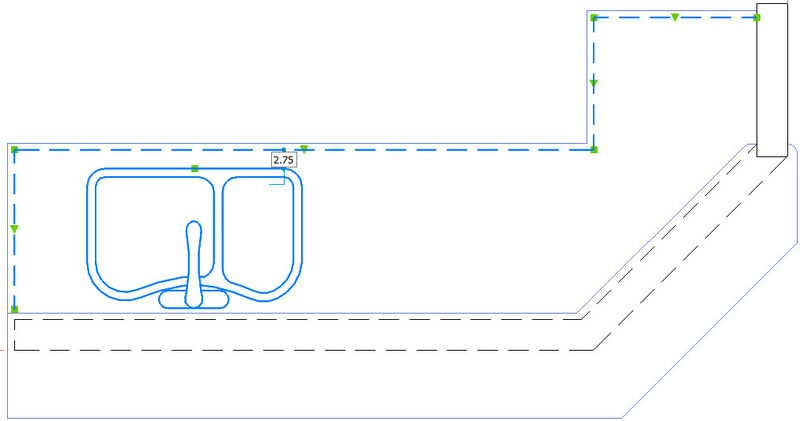 When you select two entities, BricsCAD displays the shortest distance between them. You might think of it as a simple Distance tool, but it’s so much more! In addition to seeing the distance, you can click its value to change it. The first selected entity maintains its position, while the second one moves. You can select entities as well as sub-entities. In the following example, selecting the left segment of the polyline followed by the sink block and then changing the distance between them moves the entire sink block. 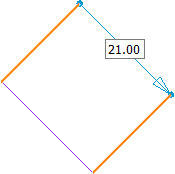 If you select a polyline segment as the second entity, as shown in the following example, the polyline is modified to accommodate the new distance. The editing uses for Nearest Distance are virtually endless. The more you use it, the more you’ll wonder how you ever lived without it! Imagine, for example, the simple task of drawing a rectangle before you know exactly what size it should be. How many steps would it take you to edit it to the proper dimensions? Or would you even bother editing it? Prior to the fabulous Nearest Distance functionality in v19, I would probably erase the rectangle and draw a new one, entering the exact dimensions as I draw it. Now, you simply select opposite line segments by pressing the Ctrl key and enter the desired distance! You don’t even have to launch a command! Use the same powerful functionality for viewing and modifying distances in 3D models! Nearest Distance functionality is on by default so it’s there when you need it. I can’t imagine why you’d want to turn it off, but if you wish to, set the NEARESTDISTANCE variable to Off. 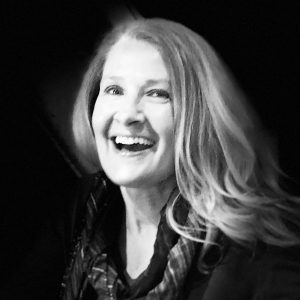 See this powerful new functionality in action during this live demonstration at the Bricsys 2018 conference. Learn more about other valuable enhancements to BricsCAD v19. 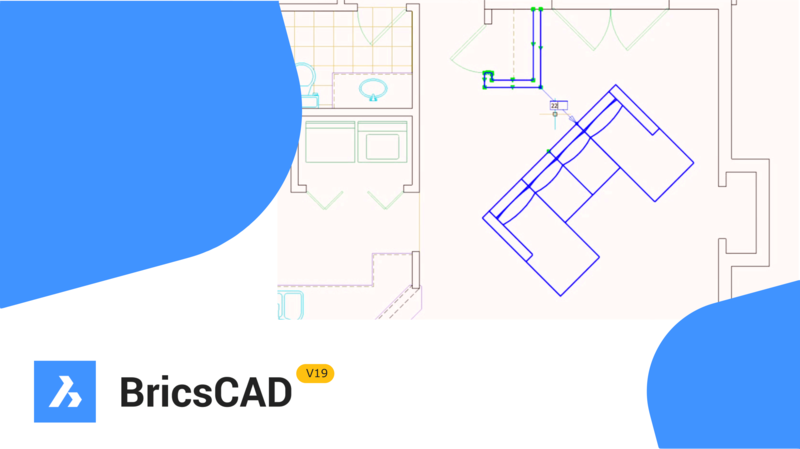 Ready to try BricsCAD V19?